After having lunch in the Royal Hawaiian Shopping Center, Nat and I went to Kulu Kulu for ice cream! 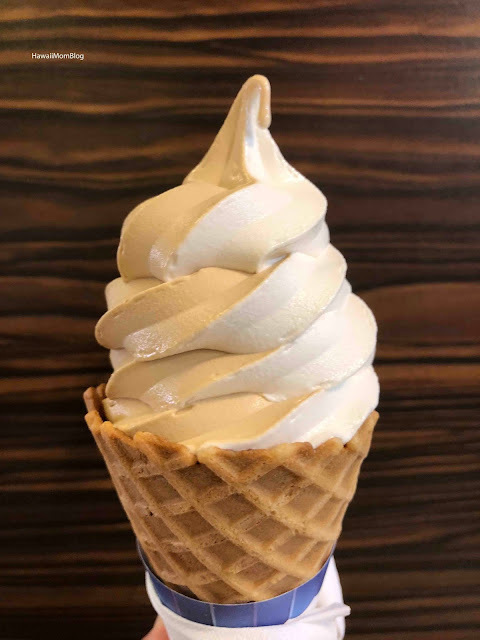 The Waikiki location was the first to introduce soft serve to its lineup two years ago (in addition to the sweet and adorable confections) with Maui Vanilla Bean and Kona Coffee flavors. 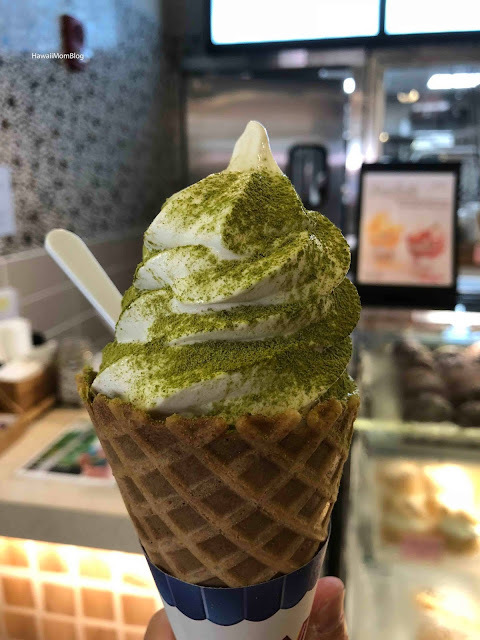 Since then, Kulu Kulu has added more ice cream offerings, such as ice cream topped with Matcha, Chocolate, and Coffee. I ordered the Hawaiian Twist - a combo of Maui Vanilla and Kona Coffee. The creamy, flavorful ice cream sure hit the spot. I devoured it in no time! Kulu Kulu will definitely satisfy any sweet tooth!